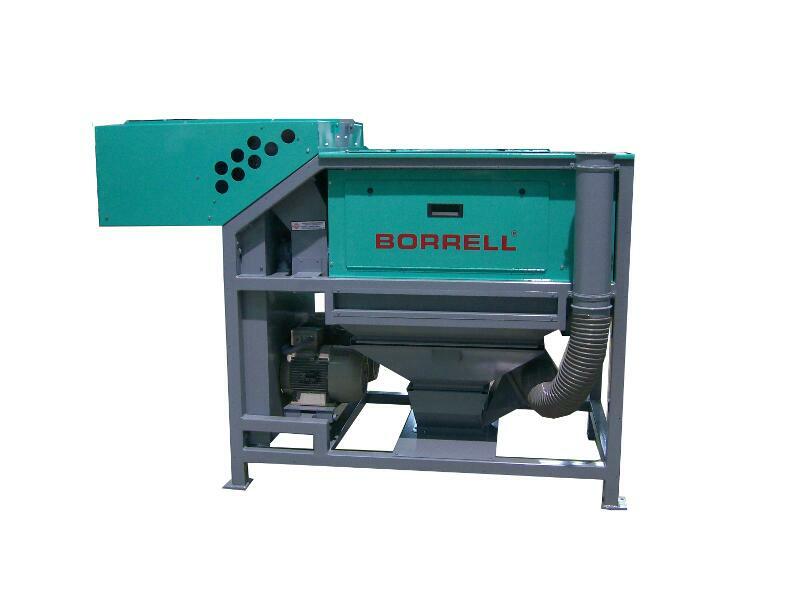 Patented machines for shelling almonds and peanuts. A combined rotation and gentle friction achieve impressive results with minimal investment and minimal maintenance. Redesigned system recently for a higher quality of shelled kernels even in conditions of low humidity and in all varieties of soft-shell almonds and semi-hard ones. Motor speed controlled by VFD, PLC control panel included in most models.